August is finally moving to a close… does anyone else feel like this has been a long month? Anyway, we leave you with 4 new Kickstarters campaigns to check out. 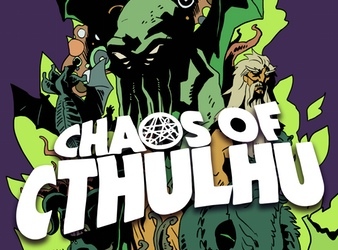 Oddly, there are two Cthulhu-themed campaigns this week, both closing within a day of each other. And you know me, anything cephalopod related usually gets my attention. Enjoy! 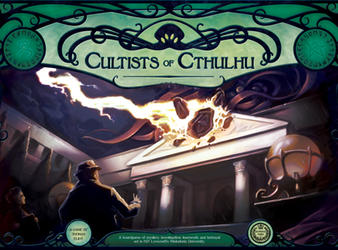 Clash in strategic dice battle to be the first to assemble a complete Lovecraftian nightmare formed from scrambled monster parts. A horror boardgame of teamwork, and betrayal set in H.P. Lovecraft’s Miskatonic University. 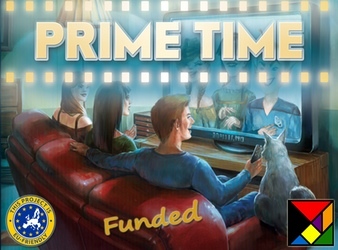 Now fully funded and with Stretch Goals! 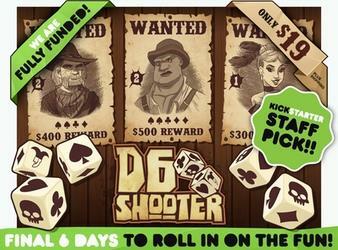 D6 Shooter: A Fast Paced, Press Your Luck Western Dice Game! Race against other players & press your luck to wrangle the most bandits to become Marshal. Feelin’ lucky? Then roll into D6 Shooter! Thank you for mentioning D6 Shooter. It was really fun to follow this campaign these last 21 days. The 13th Stretch Goal was unlocked yesterday. Now with less than 3 days before the end of the campaign, we’re all expecting SG number 14 & 15 to be unlocked in the coming hours. Jacqui Davis (the artist) has done a great work, as Robb De Nicola with this game & campaign! I hope everyone will go check it before it’s too late! I have actually supported both. I saw that one. The game play seemed really similar to Rhino Hero (which I already own and love) so it’s probably not for me.